Students who graduate with one of our marketing degrees find themselves at the center of business decisions in local, national and international organizations. That attention quickly positions them to move into executive and community leadership positions as their careers develop. You will complete the core program of the Herberger Business School and develop skills and insight into product planning, market research, advertising, promotion, retail, sales management and customer service. You will graduate well prepared to compete for the high-demand positions in emerging areas. 15-credit Professional Selling Specialization program uses the state-of-the-art Northwest Mutual Sales Lab to give you the edge in sales or sales management careers. The latest tools and technology are available to you in the recently remodeled Centennial Hall. In the Herberger Business School's senior-year internship, students earn academic credit, real entry-level work experience and they are paid by the sponsor. Husky AMA, the student chapter of the American Marketing Association, ranked in the Top 25 at the International Collegiate Conference in 2013 in New Orleans. Judges cited membership, fundraising and the 30 professional development activities that included career skills workshops and community service work. 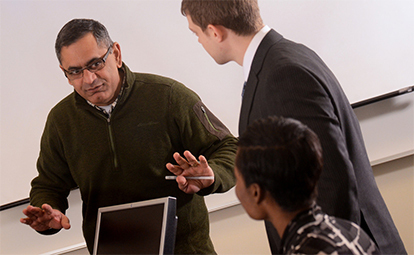 Professors in the department work locally and globally, developing fresh marketing. Their results and analysis appears in publications such as Health Marketing Quarterly, Global Journal of International Business Research and South African Journal of Economic & Management Sciences.